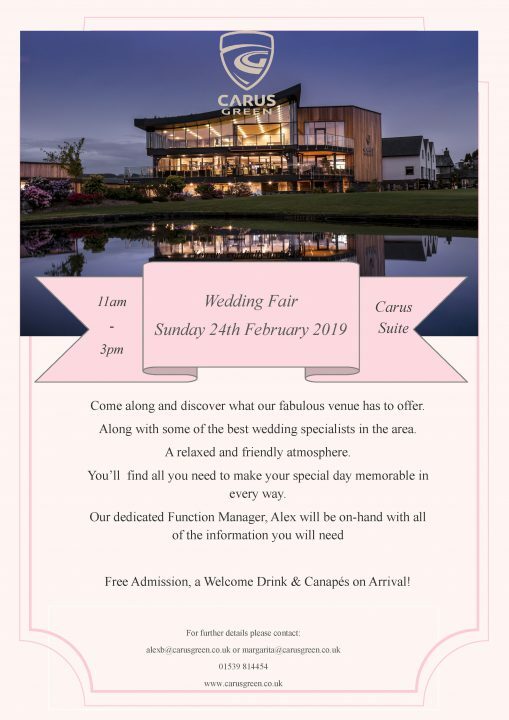 Join us for the Wedding Fair on Feb 24th 2019 at Carus Green. Some of the best wedding specialists in the area. A relaxed and friendly atmosphere. You’ll find all you need to make your special day memorable in every way. Free Admission, a Welcome Drink & Canapés on Arrival!